Opinion is divided over the news of Amazon launching its advertising services in Australia, with some saying it will make little impact, and others saying that Amazon will not only take a large place in the sales funnel, they will be the entire funnel. While Amazon’s general Australian launch in 2017 fizzled due to non-competitive pricing, and last year's Prime Day was arguably a fail, with the launch of Amazon Advertising, Amazon has the potential to be one of the biggest advertising and sales players in Australia, if not the biggest. Currently, it is the third-largest digital ad player in the US market, behind Google and Facebook. Amazon Advertising is aimed at giving businesses a new advertising campaign channel and deliver relevant messages to customers on and off Amazon, throughout the customer journey. On offer upon launch are display and video ads across Amazon apps, devices and brands, as well as placement off Amazon, along with an Amazon DSP, which uses exclusive Amazon data to reach the ideal audience on and off Amazon. Brands, whether they sell products on Amazon or not, will be able to programmatically reach audiences across Amazon-owned sites and apps, and other leading publishers’ sites through direct inventory from Amazon Publisher Services and third-party exchanges. The online giant said it will also use various solutions, from manual site reviews to real-time bid evaluation, to uphold quality standards and brand safety. Amazon remained tight-lipped after its very soft launch last week, and brand and industry leaders say the launch may initially have little impact here. But the potential for growth and massive impact is inevitable. 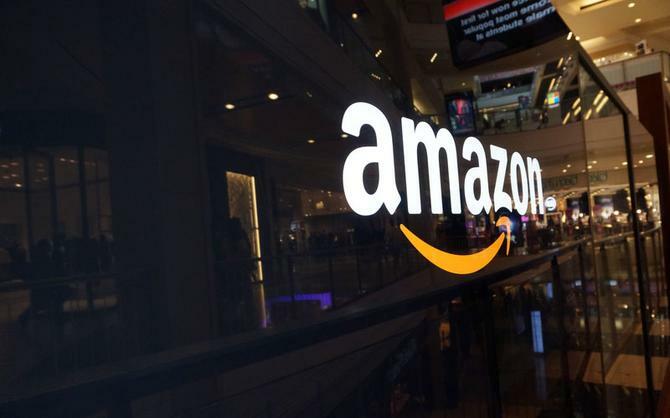 CEO of the Australian Association of National Advertisers (AANA), John Broome, said Amazon’s entry will give advertisers more choice and another option for online advertising. “More competition on the supply side can only be a good thing for advertisers,” he told CMO. GroupM digital strategy and investment officer, Venessa Hunt, was also pleased to see Amazon Advertising launching in Australia. “It shows global companies’ continued interest and commitment to the Australian advertising market. Competition is also critical in our industry to drive innovation and give our brands more places to engage with their customers or potential customers in the moments that they are actively making purchase decisions,” she said. But the reaction is not all good. Removify co-founder, Nick Bell, said the launch has the potential to take money away from local media giants. While the in-roads Amazon are making in ad-services are no doubt interesting, Naked Communications senior strategist, Sebastian Revell, said what it will realistically mean for advertising and marketing to Australian companies in 2019 is probably very little – at least in the short term. “That is, until Amazon can attract more domestic sellers to drive prices down and increase choice, the role for advertising on its platform will remain fairly limited in the short-term. However, there are a few things worth keeping our eyes on as they grow that will certainly impact Australian marketing further down the line,” he told CMO. “The first is that in the mature markets, Amazon enjoys an effective monopoly on mental availability. US data shows 55 per cent of online shoppers start their searches on the platform. The effect of this shouldn’t be underestimated, it’s like if every other shop on the high street were a Myer; this would have a huge impact on your choice of department store and subsequent purchasing behaviour. As Amazon can effectively close the loop between searching to purchasing, the company is in a stronger position to offer brands value, and it is the brands that get in early that will be poised to take advantage of this new player, Revell continued. “Google and Facebook aren’t set up to be plugged-in to what people actually buy. Choosing Amazon, advertisers don’t have to combine data sets in order to understand the effectiveness of their investment on the platform, they can essentially fully control the funnel," he said. "By closing the loop on searching to advert to purchasing, Amazon is in a far stronger position to offer value as part of brand’s channel mix. This could particularly affect Google, as it’s quite conceivable we’ll see search budgets shift to Amazon." Flight Centre head of digital media and analytics, Dwayne Birtles, told CMO the group is keenly watching how Amazon will enter into the advertising area. "Amazon's global footprint has the ability to reach a large audience and we see potential to engage with this audience through brand messaging and retail offers," he said. "We believe competition is healthy for the advertising ecosystem as disrupters such as Amazon enter into the market. Idealy this increased competition will drive even more innovation in the digital space that we as advertisers can leverage. Flight Centre is specifically interested in tapping into the adtech offering to drive performance focused activity, aimed at bottom of the funnel conversion for its travel retail business. "Exploring Amazon's targeting offering due to the plethora of data they collect on its website visitors and customers, is also of interest," Birtles said. Another factor Revell said worth considering how the rise of Amazon’s potential ad solutions will impact the battle for the smart home, specifically Echo vs Google Home. "As these devices can be much more personalised than your standard Web-based digital formats, having Amazon being able to own the aforementioned transaction data [purchase and behavioural] should only serve to make Alexa the more useful voice assistant and Amazon, the more attractive advertising platform," Revell said. Kantar head of media and digital, Mark Henning, agreed, saying Amazon’s ability to link advertising and sales almost immediately gives it a point of difference in the local market other players just don’t have. “It’s inevitable these servies will launch here; Amazon is progressively rolling out its suite of solutions globally, so it’s not surprising. It is interesting, however, in terms of where Amazon is at in the cycle and how quickly things roll out," he commented. “Amazon differs as it has the ability to link advertising and sales almost immediately, so it delivers a point of difference. The audience the business can reach and target, combined with accountability and scale, means it will become a significance presence, it’s just a matter of how long this takes. Impressive CEO, Robert Tadros, did warn Amazon is offering these services in Australia with a US mentality, and will need to mature in this market to be a threat to other media players.